Born Margareth Menezes da Purificação, on October 13, 1962, in Boa Viagem, the Peninsula region of Itapagipe in Salvador. She is an internationally known, award-winning Brazilian pop star, but her music genre is predominantly the axé, samba-reggae, and samba-funk music of Bahia. 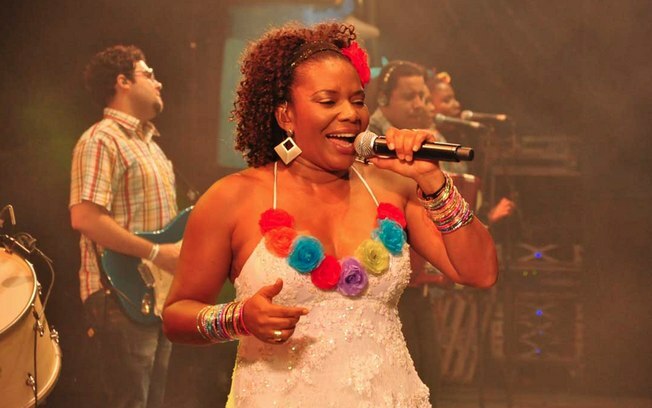 From an early age, Menezes was surrounded by music, through her family’s love for it, and in her teens she began performing in the trios elétricos in Bahia’s Carnaval. In 1985, at the age of 21, she won the Troféu Caymmi for the Best Female Performer of Bahia, and she would win it again in the 1990s along with the Troféu Imprensa. Four years later, she recorded her first solo album dedicated to Bahian grooves. Her second album, Elegibô (Uma Historia de Ifá), stayed in first place for 11 weeks on the American charts in the World Music category. It was also awarded by Billboard magazine and Rolling Stone magazine appointed the album as one of the five best in the world in the same category. Other big hits include Me Abraça e Me Beija and Kindala. She is credited and appreciated for bringing the music of Bahia to the world.